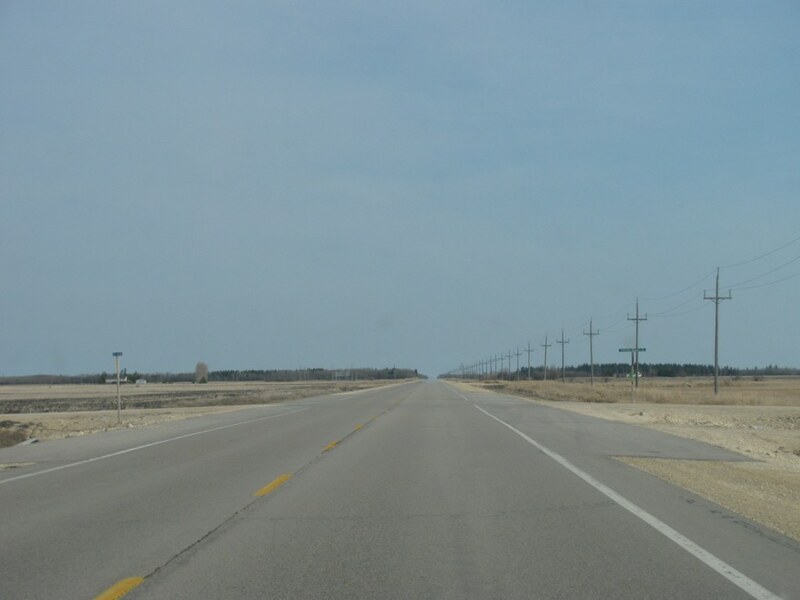 RM of Gimli Northbound view past the junction of PR 231. 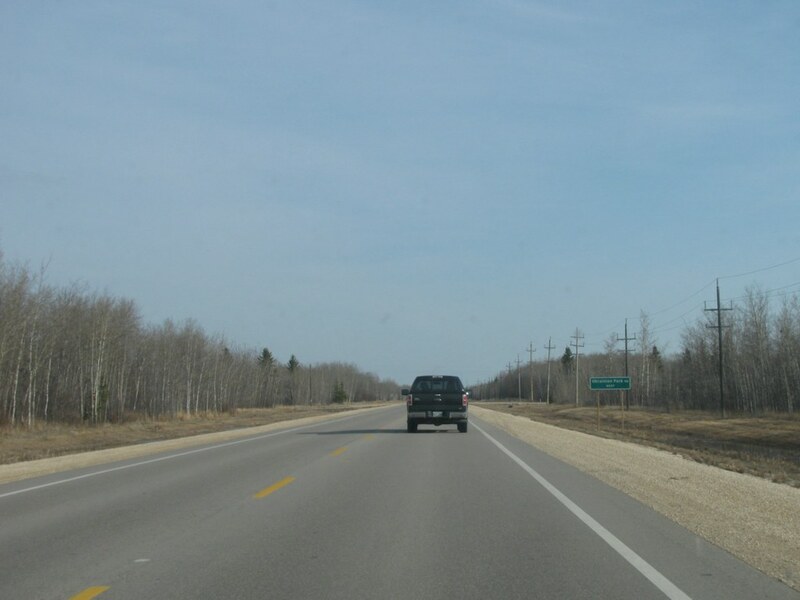 RM of Gimli Northbound view nearing the end of the brief stretch of divided highway. 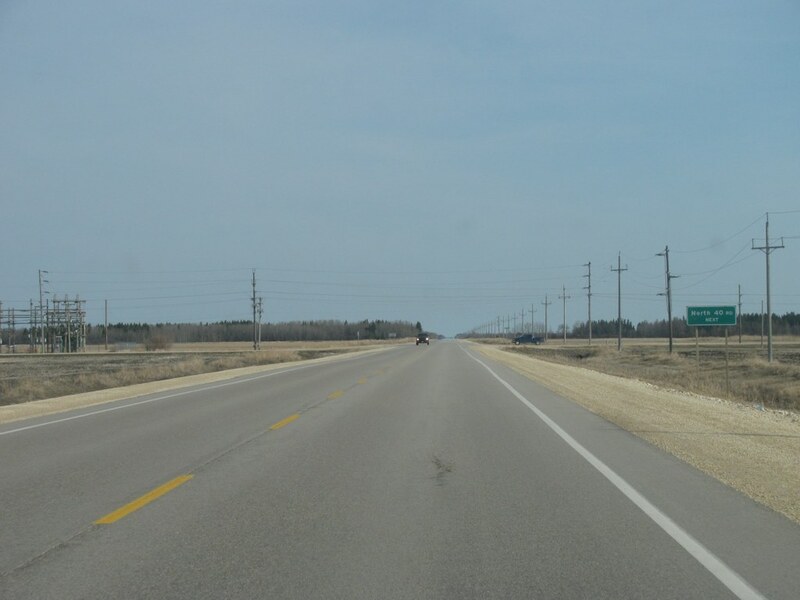 RM of Gimli Northbound view showing the sign giving the distances to Riverton and Gull Harbour. 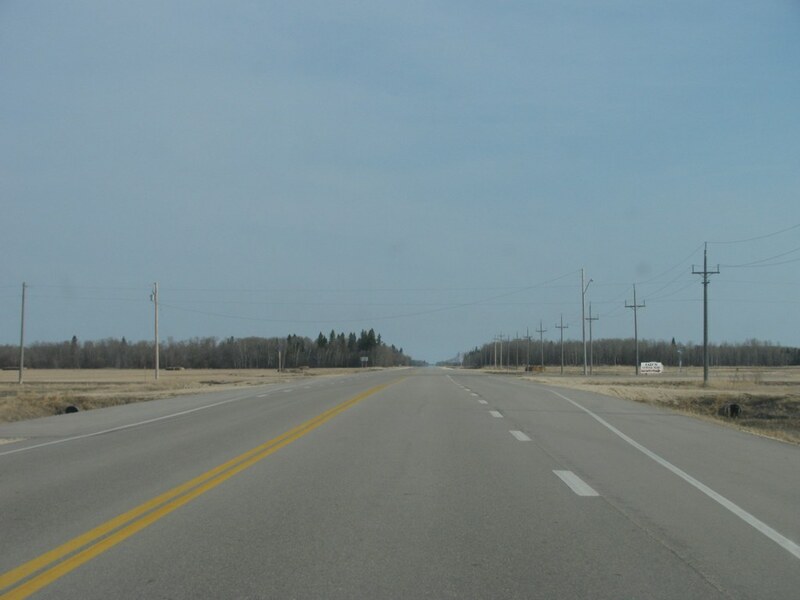 RM of Gimli Northbound view showing the advance signage for Seagram Road (Road 112N). 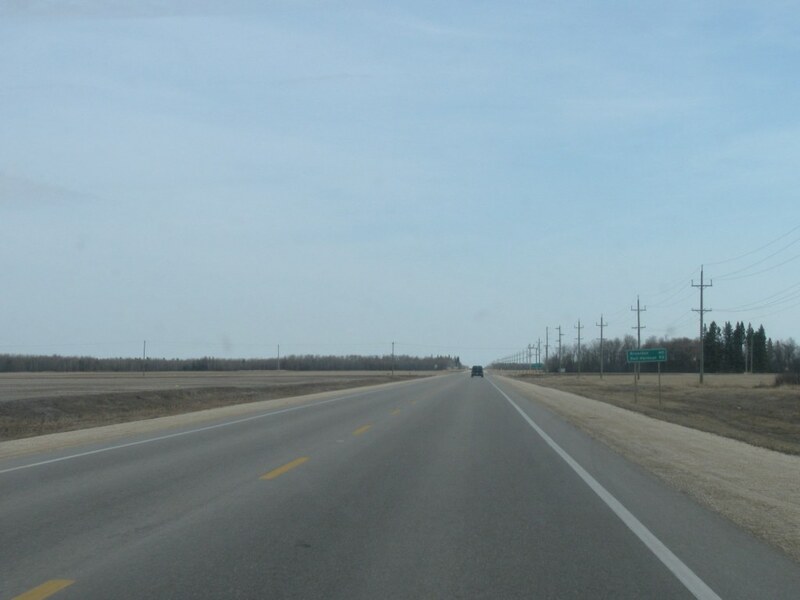 One mile to the right is the Diageo distillery where Crown Royal whiskey is made. 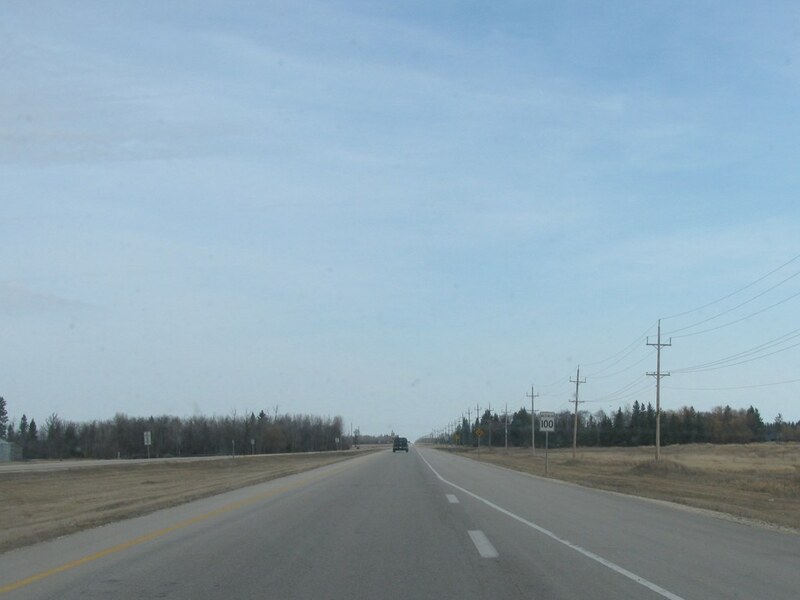 RM of Gimli Northbound view showing the advance signage for Dnister Road (Road 113N). 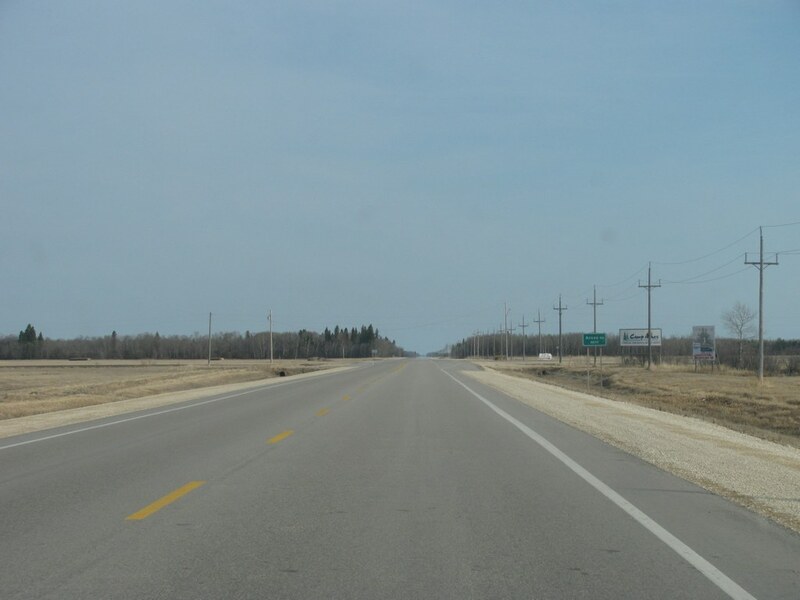 RM of Gimli Northbound view showing the advance signage for McElheran Road (Road 115N). 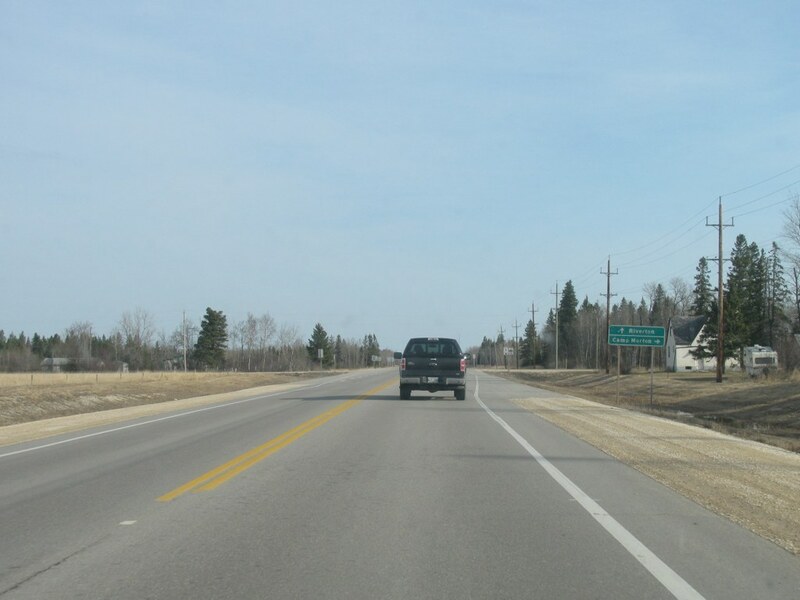 RM of Gimli Northbound view showing the advance signage for the junction of PR 324. 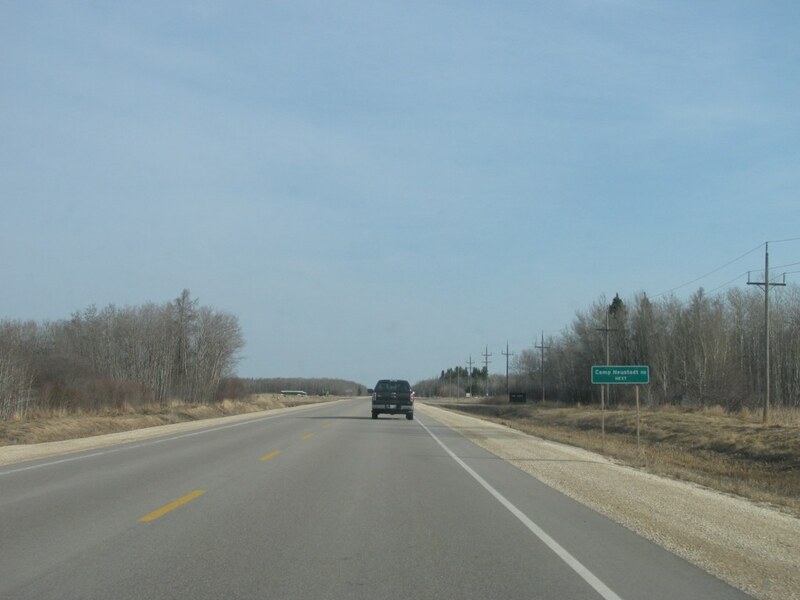 RM of Gimli Northbound view showing the advisory sign for Camp Morton Provincial Park, which is located one mile to the right along PR 324. 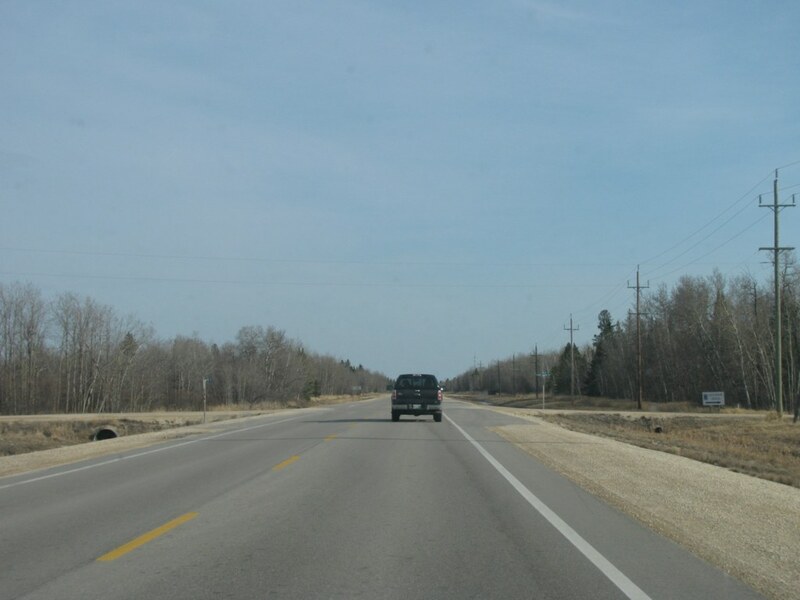 RM of Gimli Northbound view approaching the junction of PR 324. PTH 8 meets PR 324 west of Camp Morton. Click here for PR 324 images. 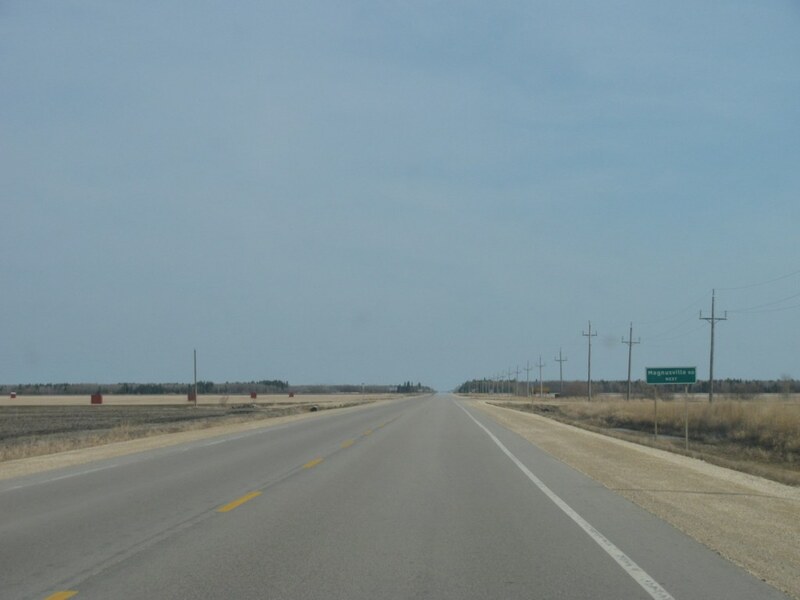 RM of Gimli Northbound view at the junction of PR 324. 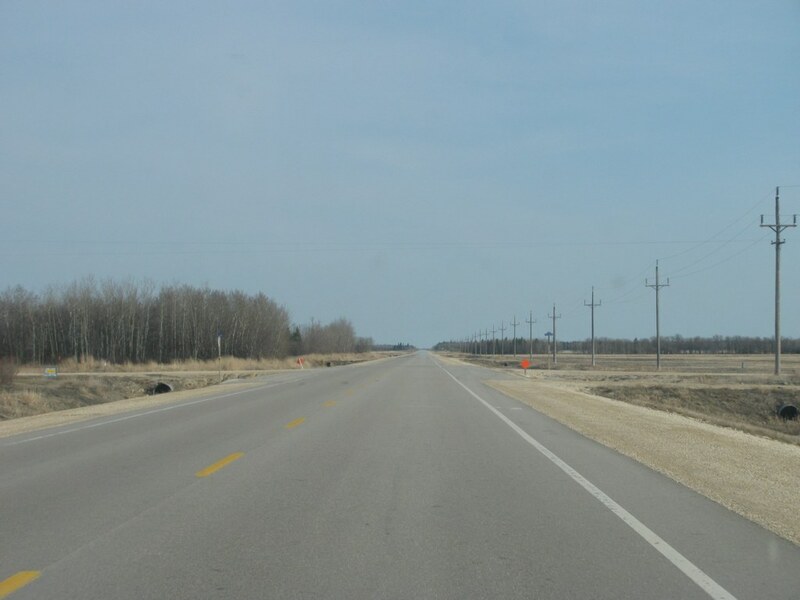 RM of Gimli Northbound view showing the advance signage for Ukrainian Park Road (Road 117N). 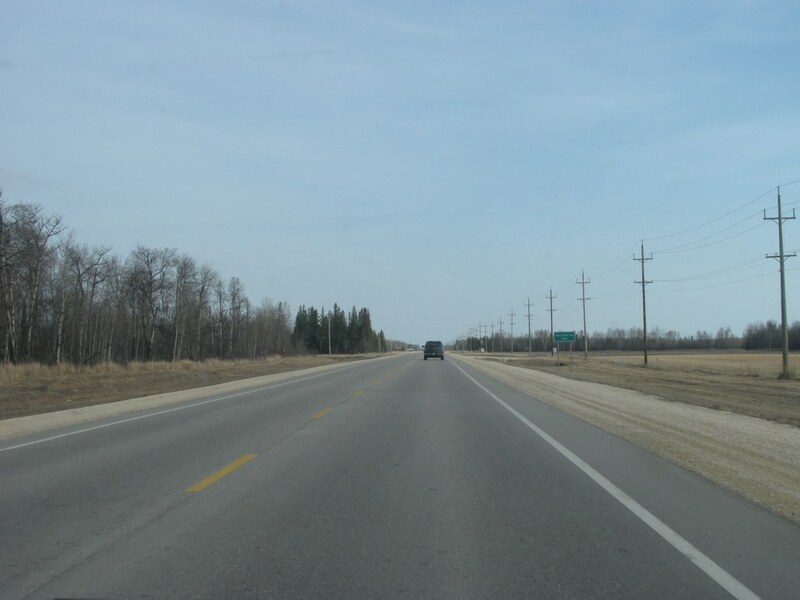 RM of Gimli Northbound view approaching Lake Forest Road (Road 118N). 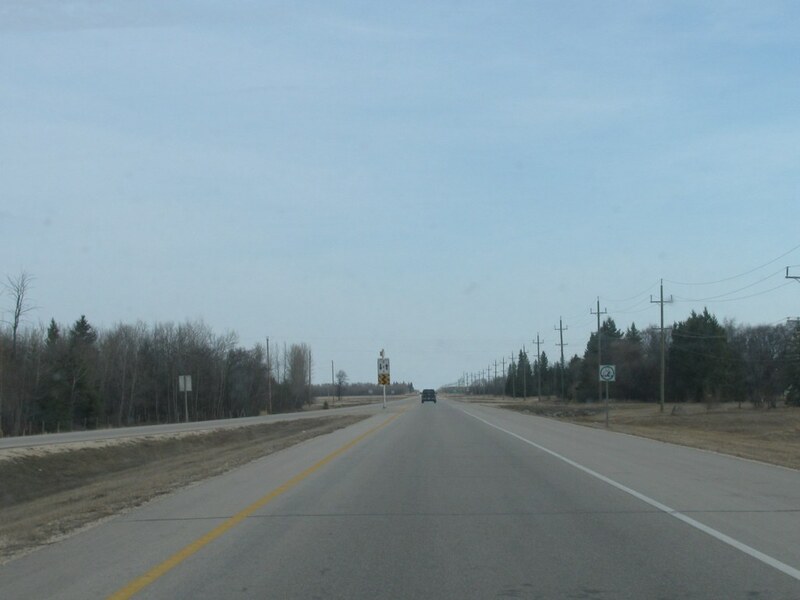 RM of Gimli Northbound view approaching Lake Forest Road showing the sign giving the distances to Riverton and Hecla. 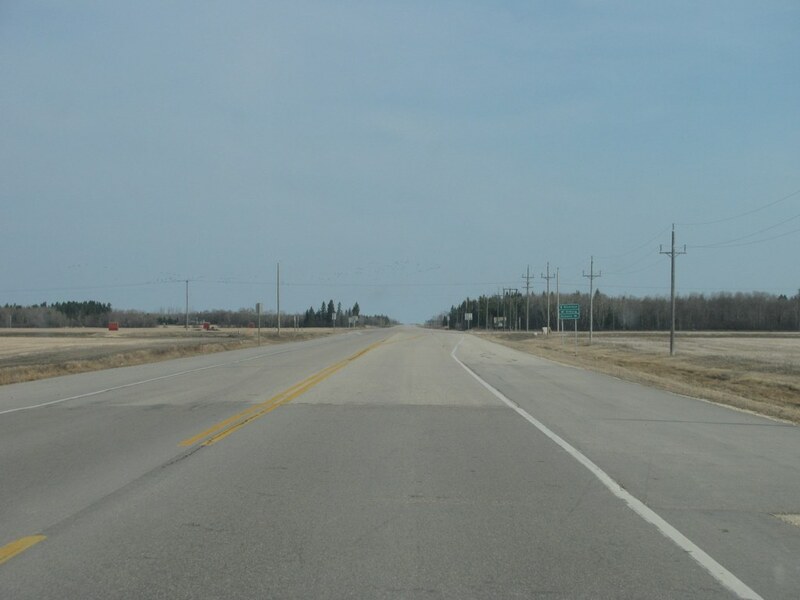 RM of Gimli Northbound view showing the advance signage for Glen Bay Road (Road 119N). 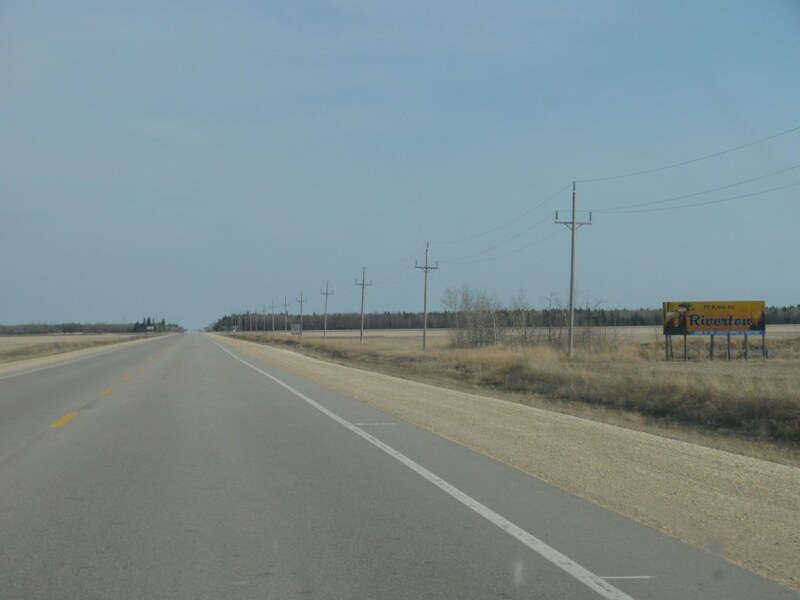 RM of Gimli Northbound view showing the advance signage for Camp Neustadt Road (Road 120N). 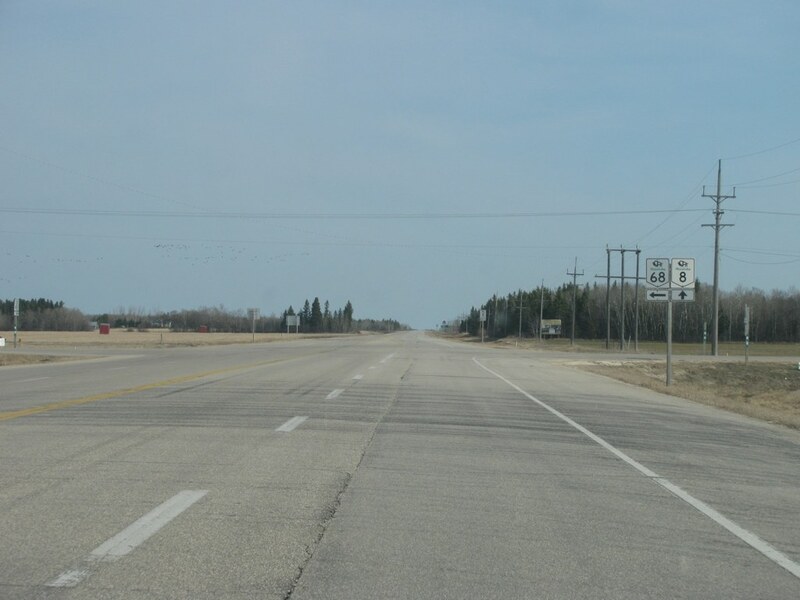 RM of Gimli Northbound view past Spruce Bay Road (Road 121N). 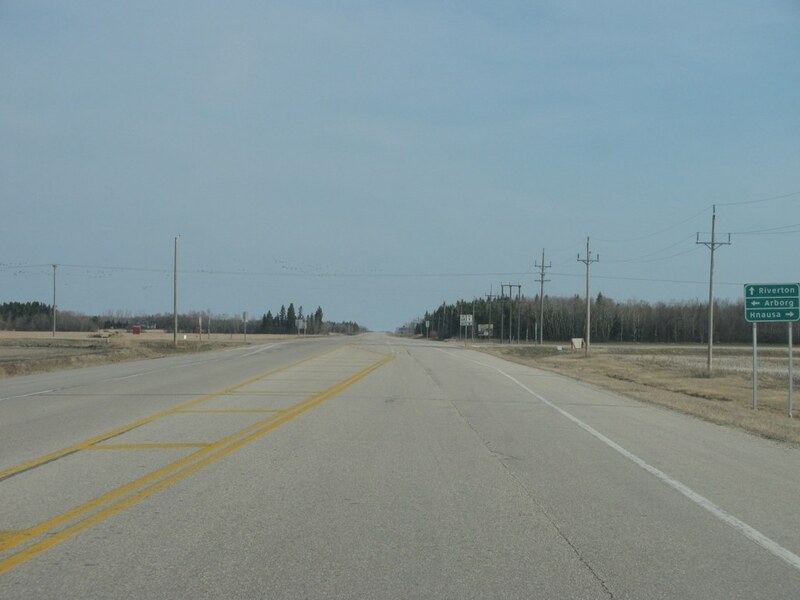 RM of Gimli Northbound view showing the advance signage for Arnes Road (Road 122N). 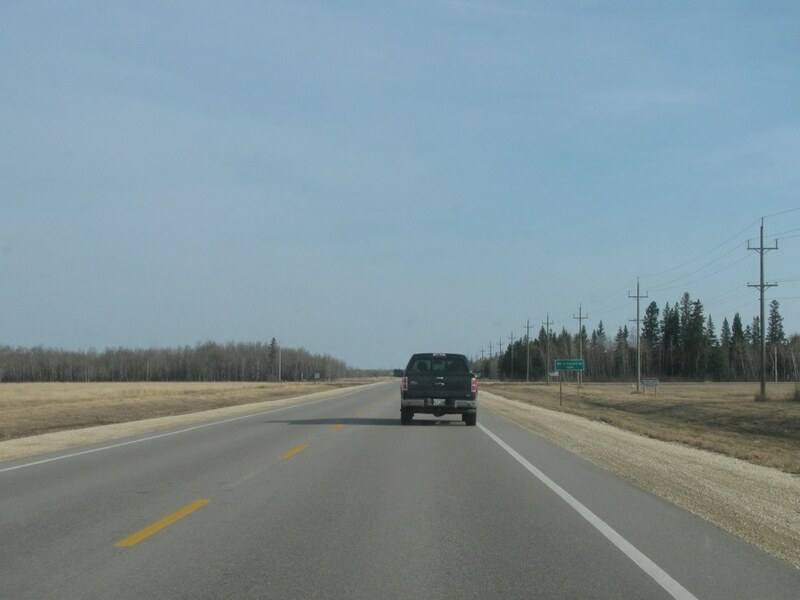 This road leads to the hamlet of Arnes, which is best known for Camp Arnes, a Christian camp for children that is located along the shore of Lake Winnipeg. 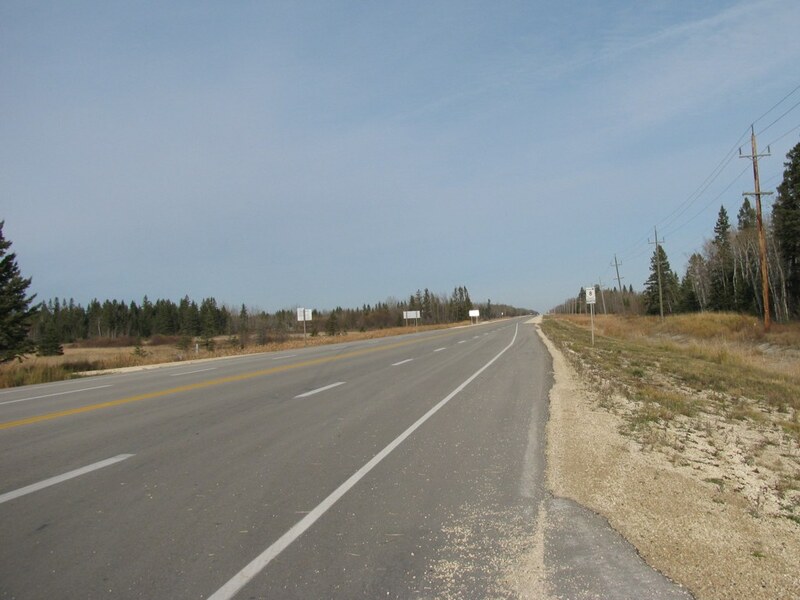 RM of Gimli Northbound view approaching Arnes Road (Road 122N). 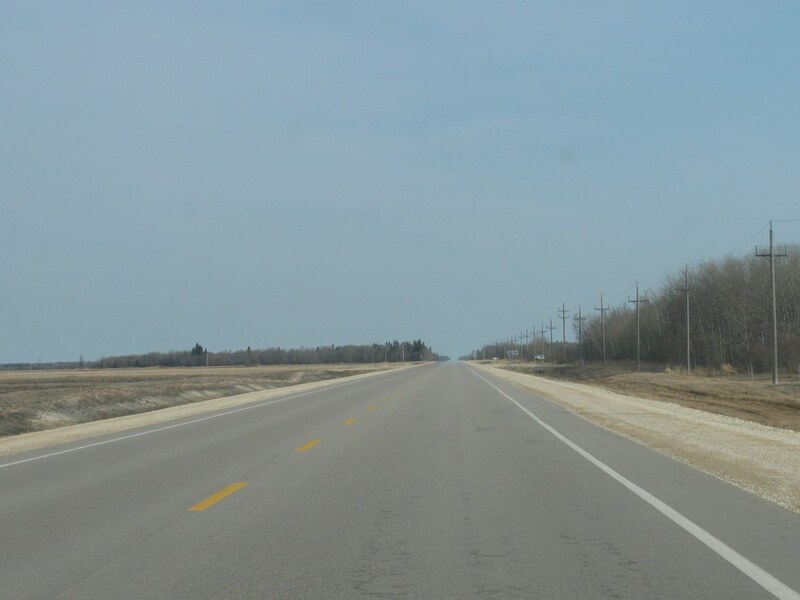 RM of Gimli Northbound view showing the advance signage for Boundary Road (Road 123N). 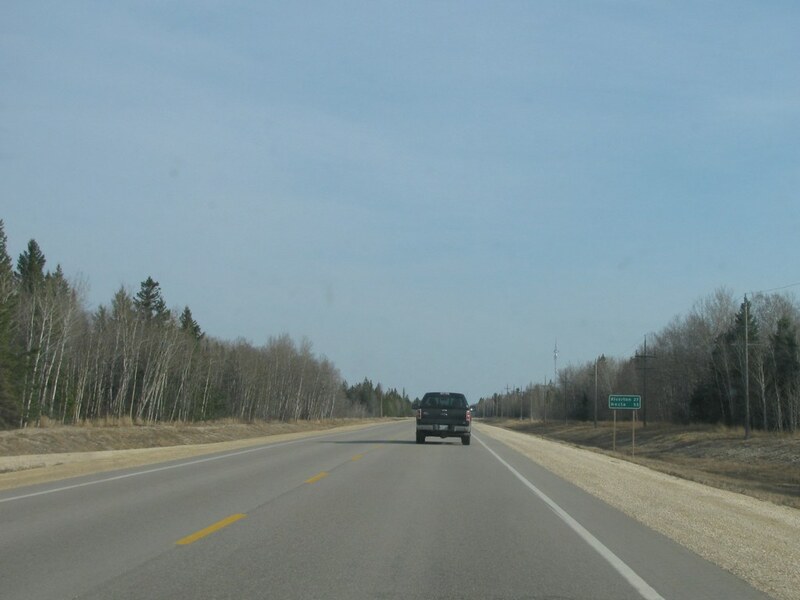 As the name suggests, this road serves as the boundary between the RM of Gimli and the RM of Bifrost. 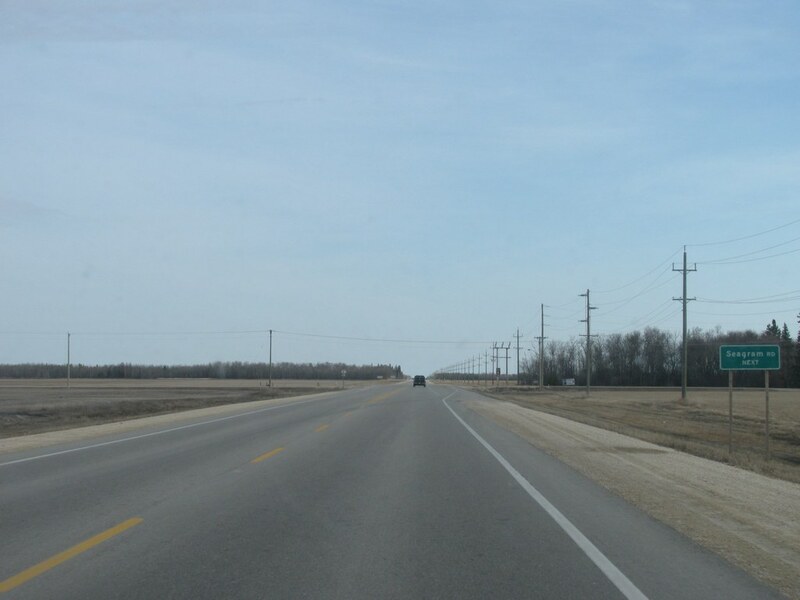 RM of Gimli Northbound view approaching Boundary Road (Road 123N). At right is the sign indicating entry into the RM of Bifrost. RM of Bifrost Northbound view showing the advance signage for Valhalla Beach Road (Road 124N). 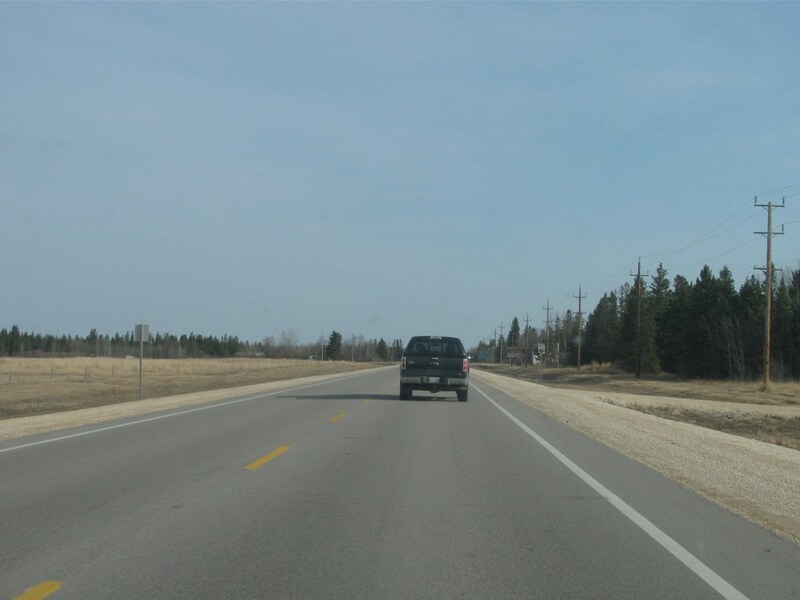 RM of Bifrost Northbound view approaching Valhalla Beach Road (Road 124N). 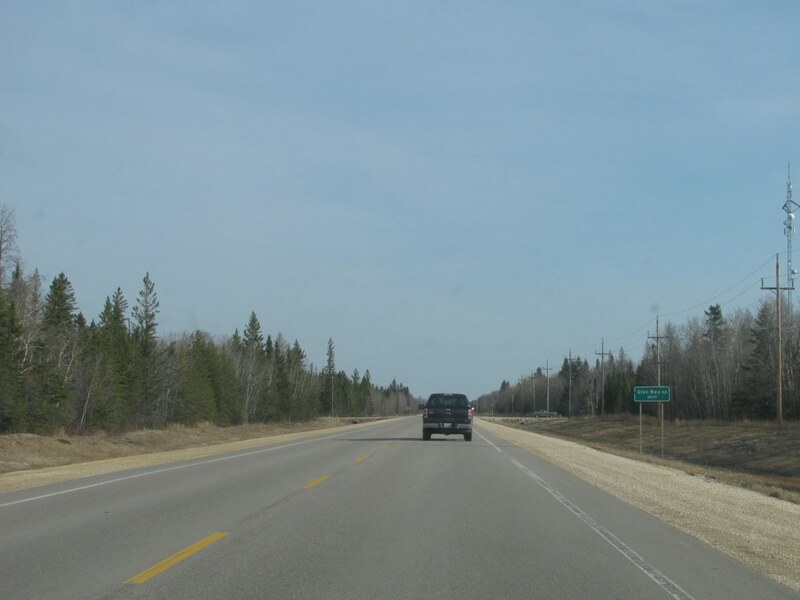 RM of Bifrost Northbound view showing the advance signage for North 40 Road (Road 125N). 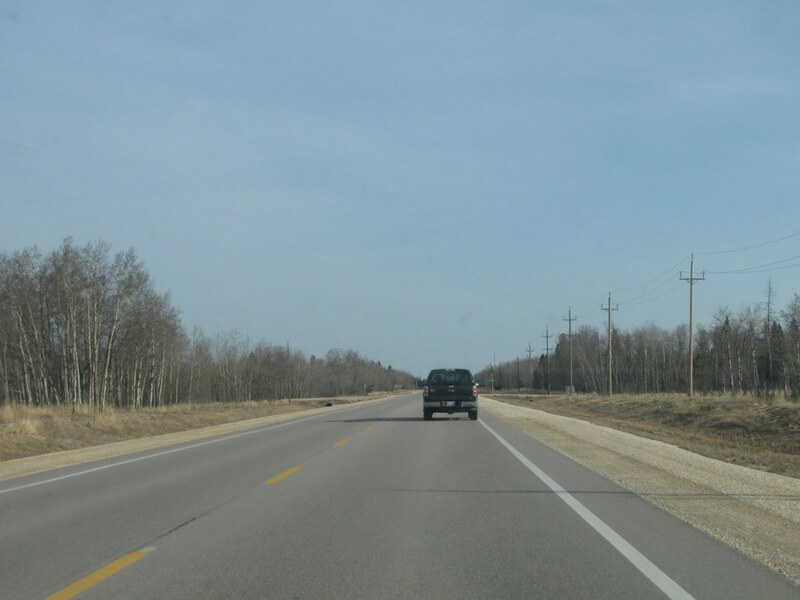 RM of Bifrost Northbound view approaching Road 126N. 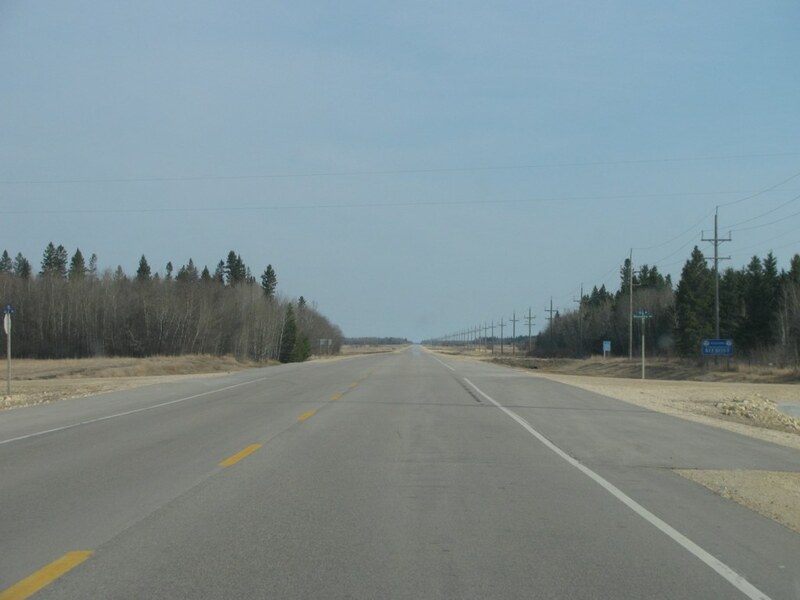 RM of Bifrost Northbound view approaching Road 127N. 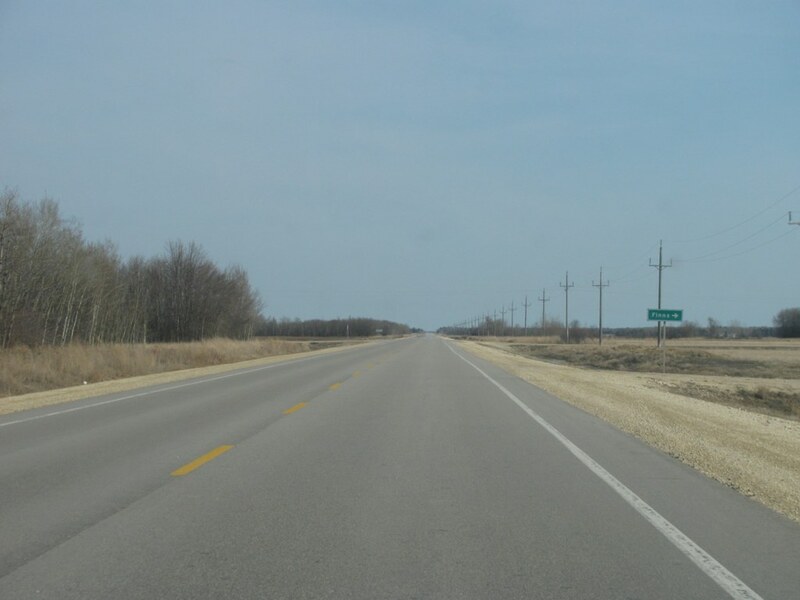 RM of Bifrost Northbound view showing the advance signage for Magnusville Road (Road 128N). 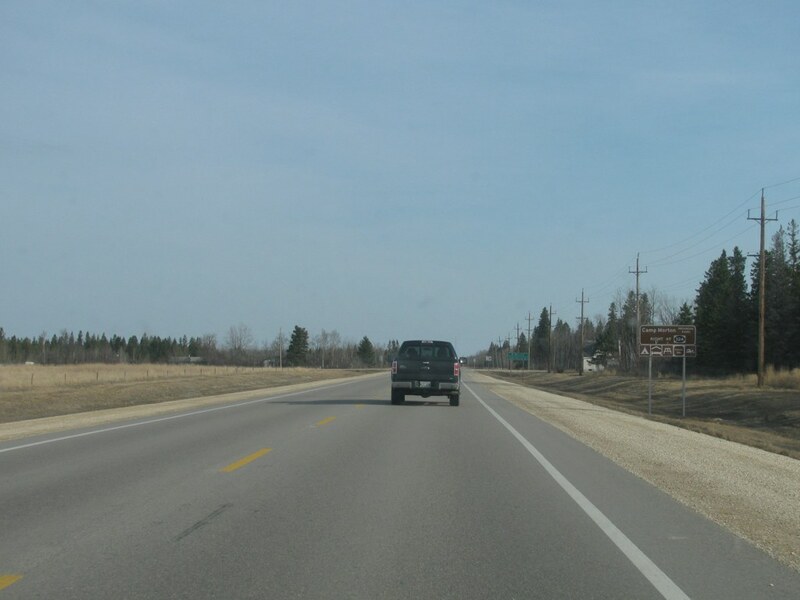 RM of Bifrost Northbound view past Magnusville Road (Road 128N) showing a sign for Riverton. On the left hand side of the sign is “Lundi”, a moose that serves as the town icon. The name “Lundi” was chosen because Riverton was originally known as Lundi when the area was settled by Icelandic immigrants. RM of Bifrost Northbound view approaching the junction of PTH 68. 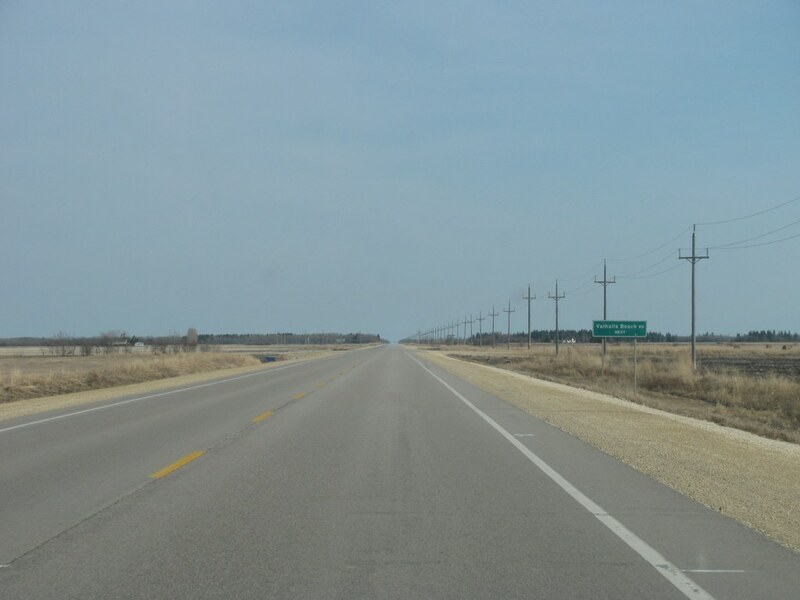 PTH 8 meets PTH 68 west of Hnausa. Click here for PTH 68 images.